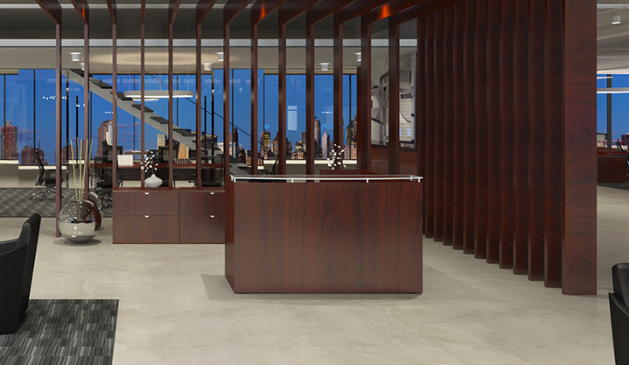 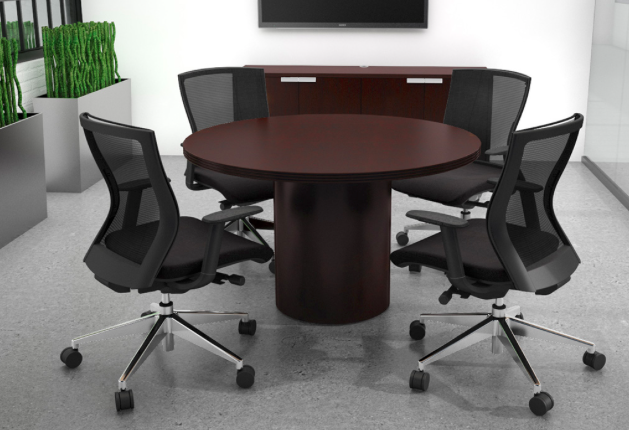 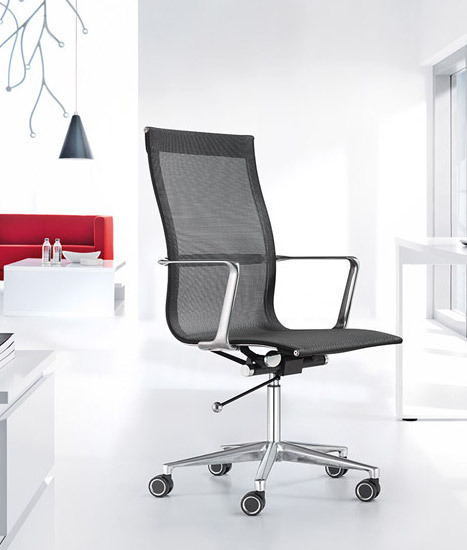 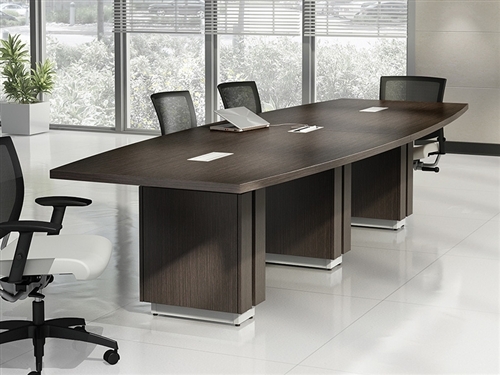 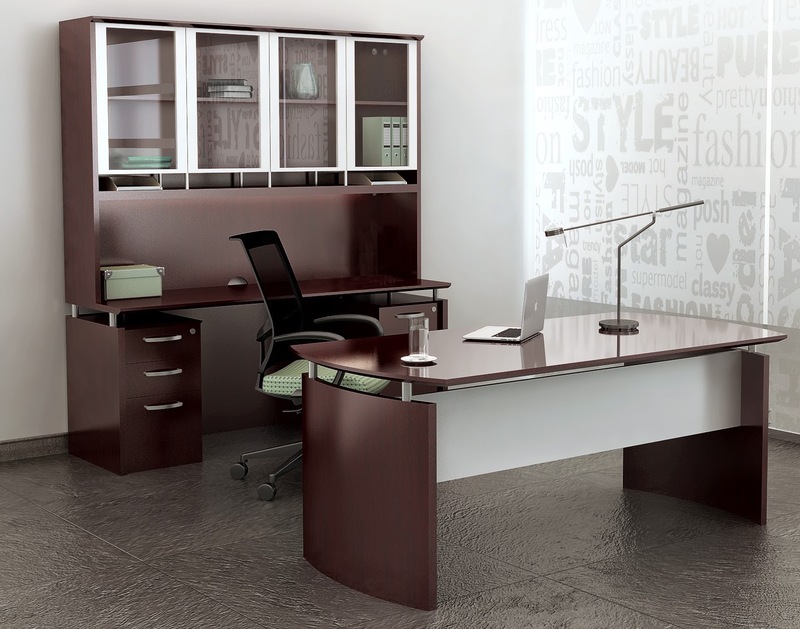 The Cherryman Jade office furniture collection offers executive executive workstations designed to encourage collaboration while simultaneously enhancing corporate appeal. 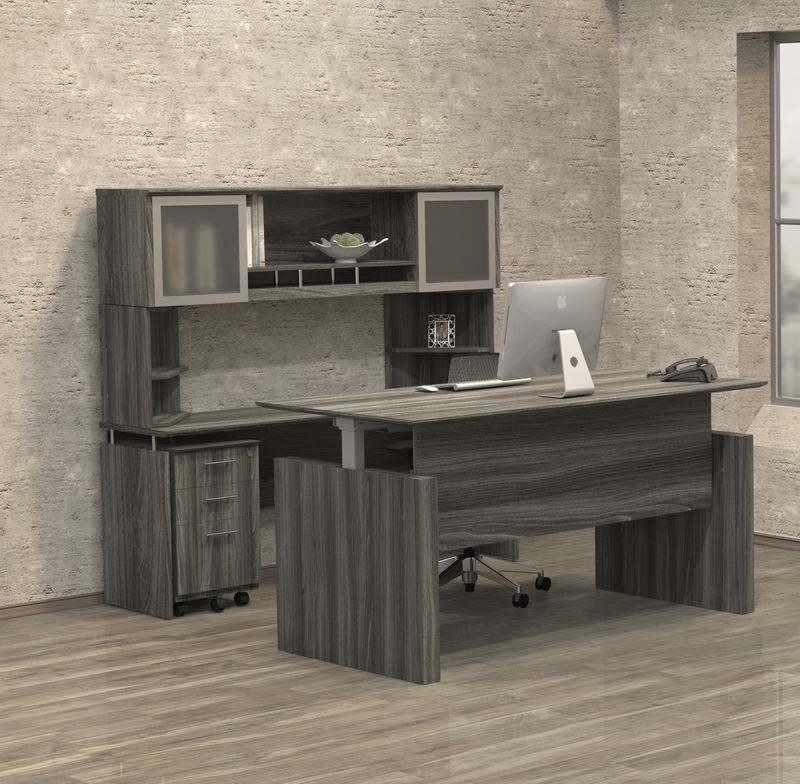 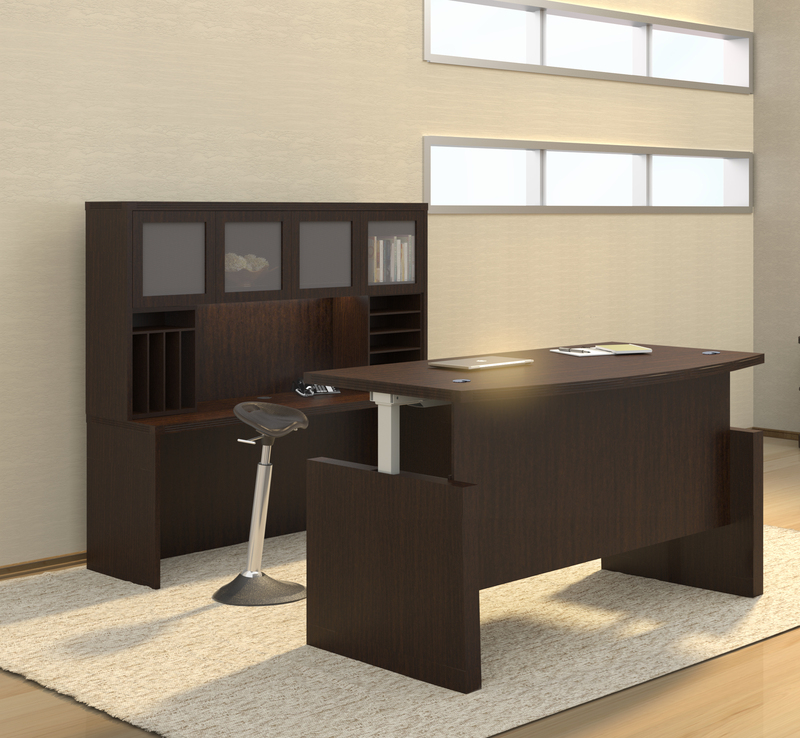 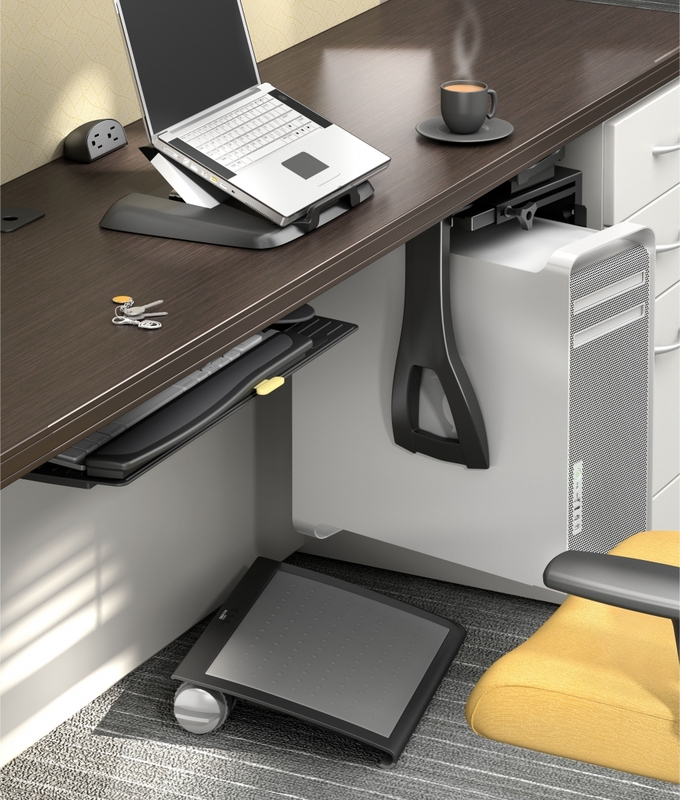 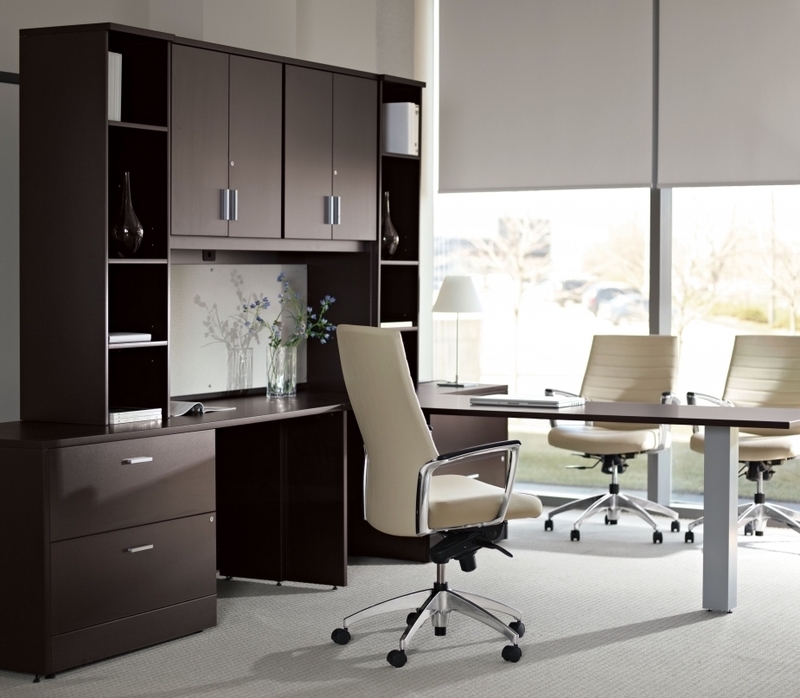 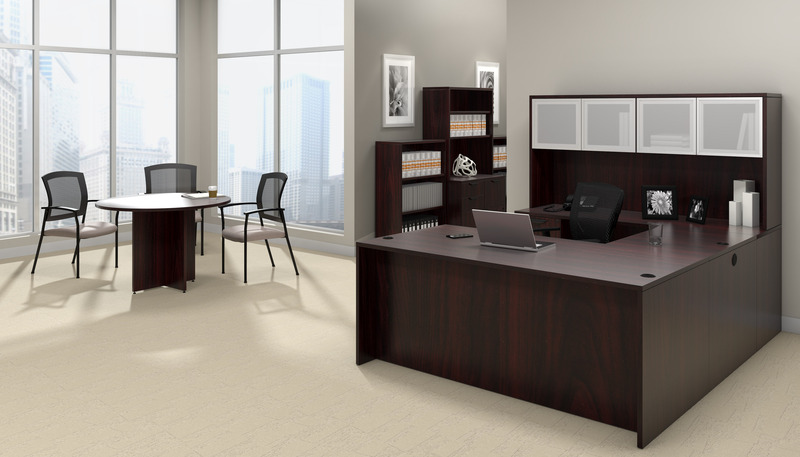 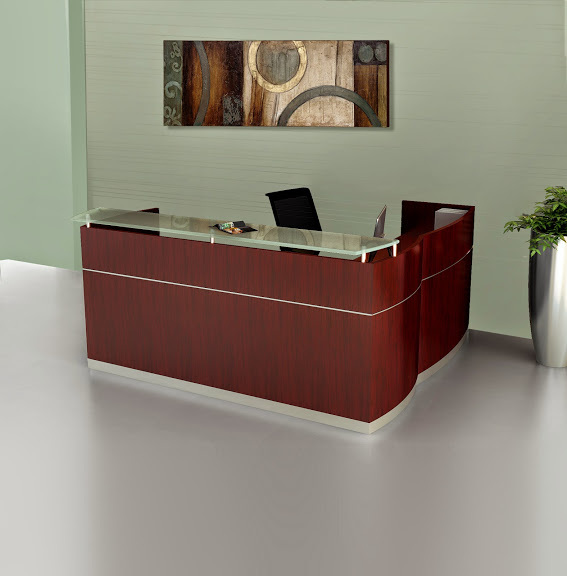 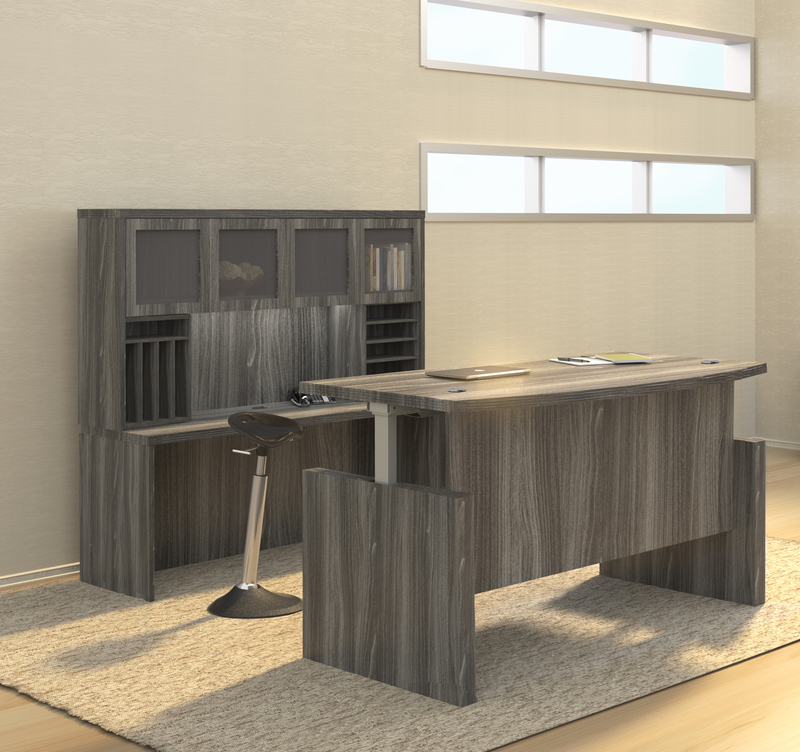 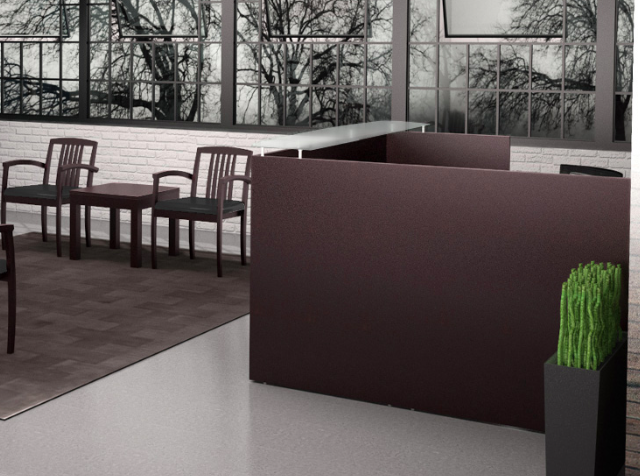 This modular workstation boasts a P-shaped front desk that pairs with a spacious 48" wide bridge and rear wall credenza. 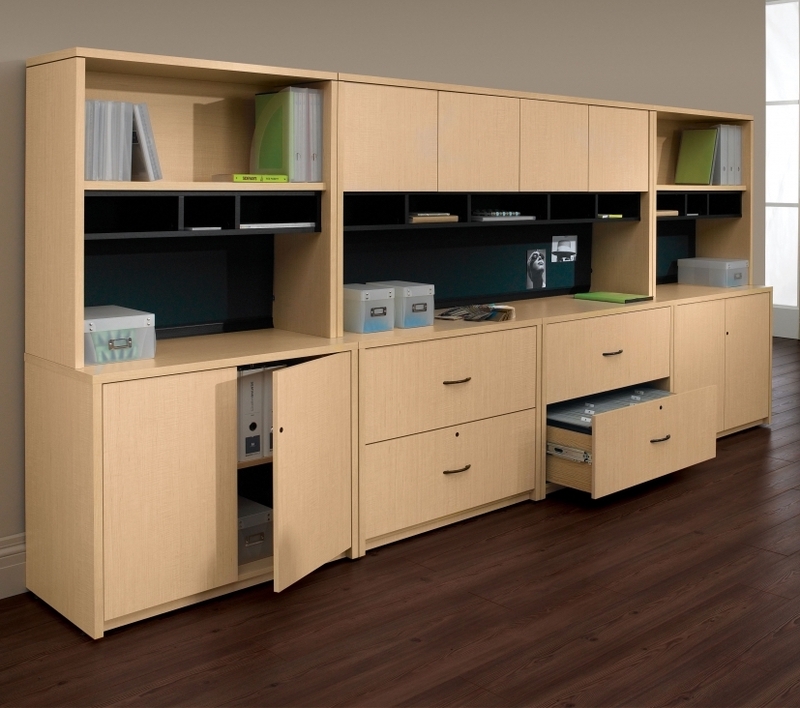 The free standing lateral file cabinet is topped with a bookcase-hutch to provide additional storage and display space. 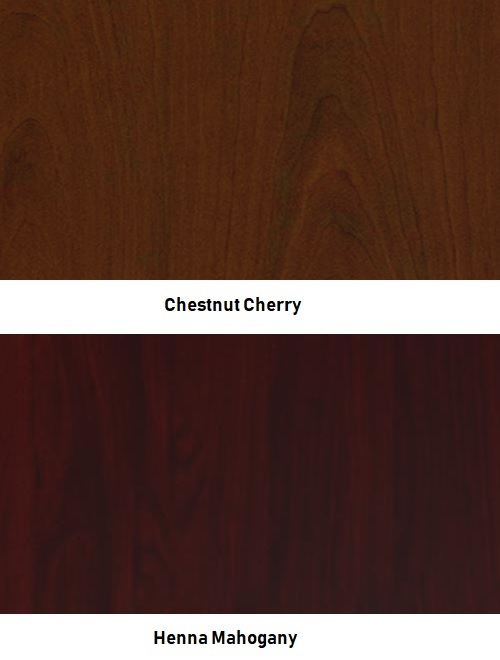 Choose from 2 finish options.